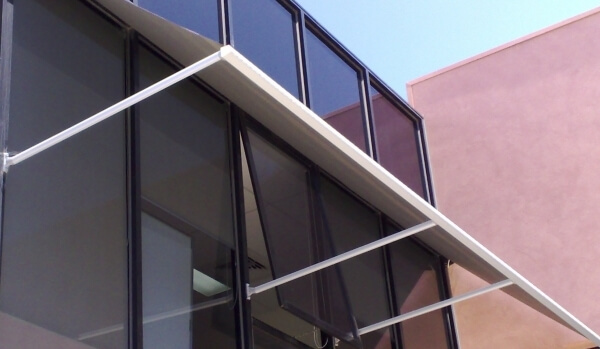 Drop arm awnings can be used as a retractable canopy or fully extended and serve as an sun awning. 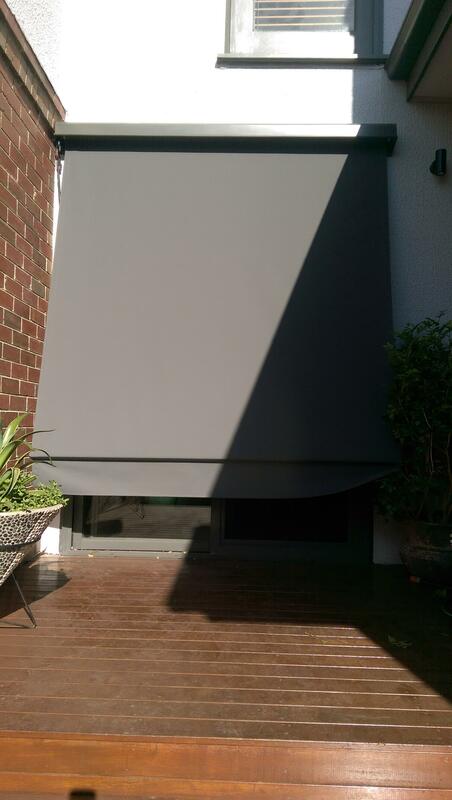 A versatile way to provide weather protection from Melbourne's harsh conditions. 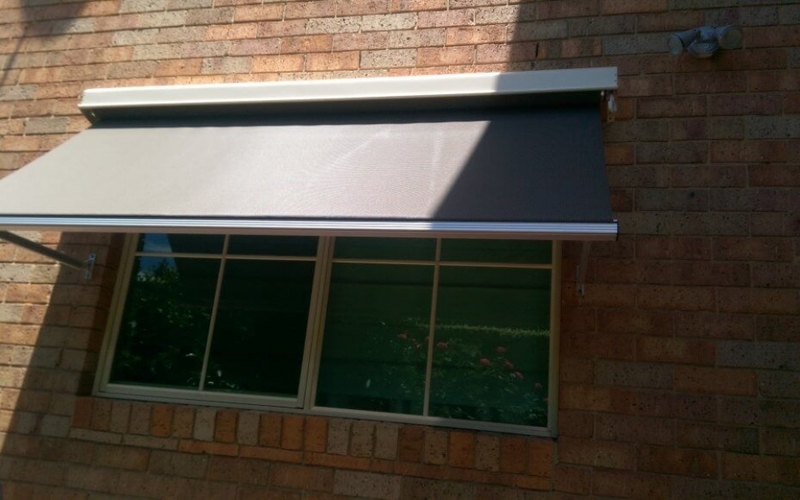 Where a retractable canopy or sun awning is required with variable arm fixing points and projection. 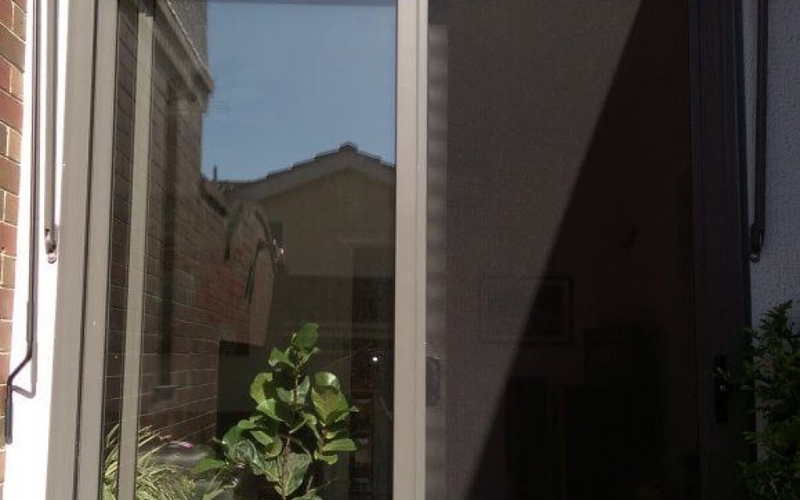 Ideal for extra large or wind-out windows and suitable for the hospitality, commercial and domestic uses. 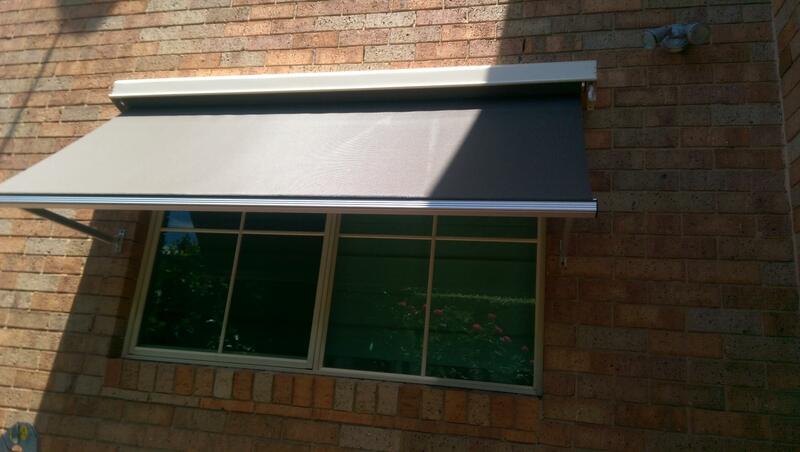 Drop arm awnings can be manufactured with arm sizes between 600mm up to 1800mm. 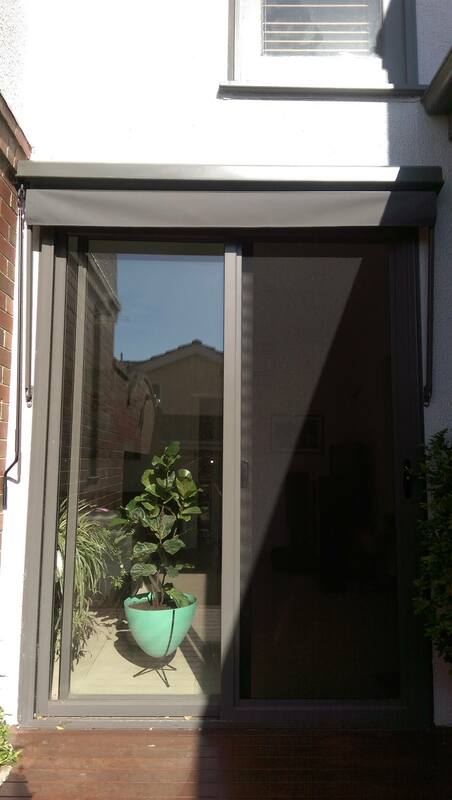 They can serve as a canopy or be fully extended to completely cover a window. They are either manual gear driven operation or can be motorised. 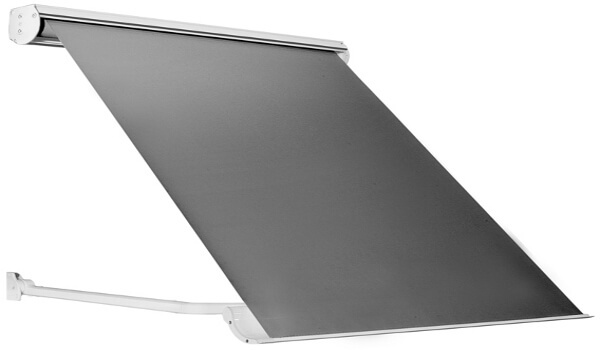 The Drop arm awnings use mounting brackets and arms made from aluminium, and are powder-coated to enhance the appearance of the awning and prevent rust. Only quality fabrics from leading suppliers are used. The German Becker brand of motors and automation are used as well as the French Somfy brand. Assembled here in Melbourne to your specific needs with a 5 year warranty. 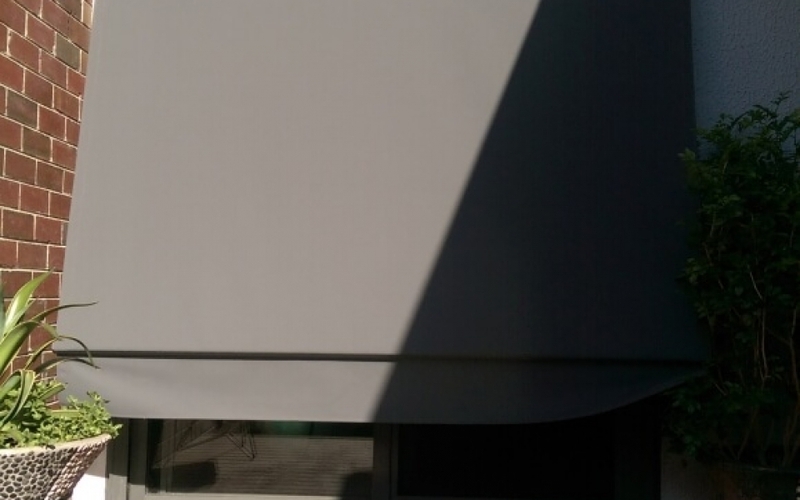 Drop arm awnings can come with colourbond pelmets or full cassette head boxes. They can be powder-coating to any colour in the Dulux range. Large choice of leading fabrics and colours to choose from. They can be motorised with full automation including timers, sun and wind sensors.